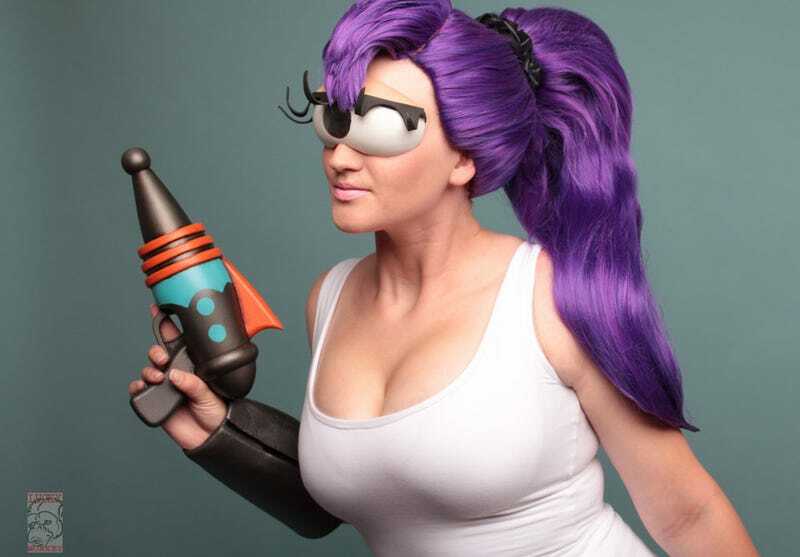 Cosplaying as Leela from Futurama isn’t as easy as it, ahem, looks. Getting the single eye to sit/look right on a normal human’s face is a tough ask! Holly Brooke has a novel solution here, though, with help Keroga Forge, who made the gun. Photo by Lucky Monkey.